Technology always seems to be moving at the speed of light and new car technology is no different. We take a look at the best in new car technology available on the market today. 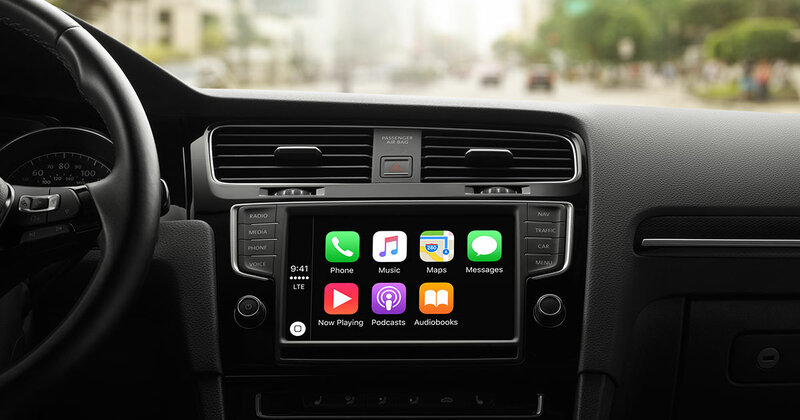 Many car manufacturers are now offering Android Auto and/or Apple CarPlay which allows you to connect your smartphone to your car's infotainment unit. It makes accessing your contacts and playing music through the car’s stereo system a breeze. Some cars require connection with a cable, though wireless connection is becoming more commonplace. There are also apps emerging that allow you to control your car from a distance. It might be to start the car remotely, lock the car or check the battery level of an electric car. Mercedes-Benz has introduced a technology called ‘Magic Body Control’. Using a camera to scan the road ahead the system is able to make adjustments to the vehicle's suspension and take into consideration the road surface which improves handling and reduces road noise. Whilst automated braking systems (ABS) are reasonably standard on models available in 2019, steering avoidance is the next level of assistance in avoiding a collision in case coming to a complete stop is not possible. Lexus and Volvo both offer this in their current ranges. The sound of collision can leave you completely dazed and confused. Mercedes-Benz is rolling out a feature in top of the line models called ‘PreSafe Sound’. When the system interprets that a collision is about to occur it emits a sound at a frequency designed to prepare the ear for the loud sound of the impact. It is intended to reduce damage to the ear-drum and avoid some of the after-shock of the accident. As more and more of today’s modern technology becomes wireless, we have also seen a shift towards wireless charging. Not only does this make for a more streamlined space but it just simplifies your life just a little bit more not having to worry if you have the cable, or remembering to plug it in before you head off. There are more and more hybrid and electric cars available on the market and featuring as prototypes in new car shows. It’s clear that this technology is now a focus for car manufacturers as they begin to hone in on the technology to improve driving distances and performance. Not quite ready to upgrade to the latest model? Take your pride and joy into Magic Hand Carwash and we’ll make that baby shine - and you won’t think about the new technology you're missing out on.